I am a big fan of director/writer Adam McKay so I was very happy to get to review his latest Vice for Scenestr magazine. I attended a preview screening with Karen at New Farm cinemas with the customary meal afterwards at the nearby Pig’n’Whistle pub. Such evenings have occurred enough that they’re becoming a habit, a fact I hope continues am very grateful for. I also ran into someone who I knew years ago as a teenager at an after school drama group. He’s since become a reality TV star and is heavily involved in media and attending all kinds of social engagements around town. He’s doing well and it was nice to get to talk to him. As for the movie, I think this is a less flashy follow-up to The Big Short but cut from the same cloth. You can read more of my thoughts here http://scenestr.com.au/movies-and-tv/vice-review-20181219 I was really keen to see this film and so look forward to hearing your thoughts. The trailer that got me so excited is below. RESCUE DAWN: Thursday night and I went to see Rescue Dawn at Regent Cinema 3 at 7pm. I was not too familiar with the great director Werner Herzog but the idea of a German who became a pilot for the United States Navy and was shot down over Vietnam intrigued me and it starred Christian Bale coming off Batman Begins. It was a fantastic a film, a little low on budget for its flying scenes but right on the money in terms of portraying how harrowing POW camps and the jungle can be. It has a real lived in quality to what is ultimately a remarkable story. What these POWs endured was horrible and Bale is ably supported by Steve Zahn (honestly people need to give him a bigger career) and Jeremy Davies. It was noted that Herzog who made the documentary about the same subject matter Little Dieter Needs To Fly ten years earlier now had a narrative retelling that was more grounded than the documentary such was his nature. Whatever Dieter Dengler was a truly fascinating man and I was glad to watch this film. 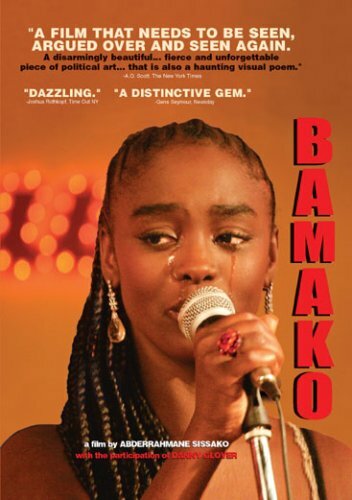 Bamako: Friday and I had to hustle from work to see Bamako at Palace Cinemas at 5:30pm. My first movie from Africa I had seen at BIFF (a co-production between Mali/France/United States) I am sorry to report I was not blown away by it. Telling the story of a court in a small village that puts on trial in a over the top manner the World Bank and the International Monetary Fund. I’m sure there were interesting ideas here about modern corporate colonialism and the continued exploitation of the third world but all I can remember is a fun scene involving Danny Glover of Lethal Weapon fame. Obviously people told this story with noble intent and great passion about things that matter but my only memory is it was not a very good film. Still terrific song. Squatterpunk: I had some time to travel across to GoMA Cinema B for Squatterpunk at 9pm the same night. Whatever I thought of Squatterpunk it was an experience which we need more in art and film festivals in general. 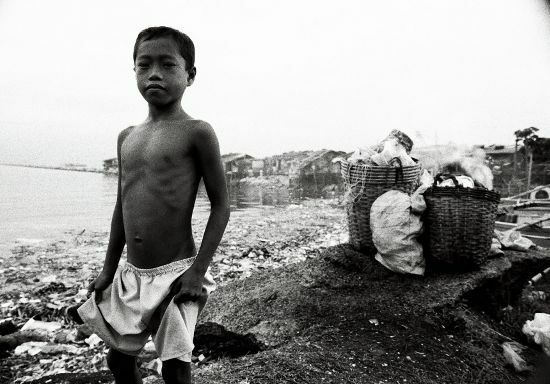 Director Khavn filmed in one day on Mini DV in black and white around the slums of Manilla a group of children. The film was silent and live in Brisbane, Khavn and his band The Brockas performed music alongside the images. There was no dialogue that I could remember and the music was loud and not always easy listening. Truly unique, raw and real. It may not have always held my interest or pleased my senses but it communicated effectively the poverty of some areas of the world and the resilience of some humans to survive in it. The next day I volunteered my last shift for BIFF from 3pm to 1am at Regent Cinema 1. Regent Cinemas are gone now and so are my days as a BIFF Volly. They don’t even have them anymore. I know Day Watch was a film to see that night but I don’t recall taking it in or any other freebies. Maybe I wanted to just take in the moment. 2007 felt very far away from my experiences in 2004 only a short 3 years earlier. I can’t imagine the melancholy for others when BIFF went away later. I remember a gentleman who looked homeless once coming in and discussing films with someone. I saw David Stratton again and at one point William McInnes the week earlier. He was there for The Night and Unfinished Sky. I caught a glimpse of The Night‘s ending which was moving and Unfinished Sky was made by New Holland Productions who I went to once for a job interview. I did not get the job but I enjoyed the interview and was happy to see those producers enjoying success. There was also a VIP guest from America there who I can’t remember the finer details about but I think worked on film festivals there. The next day I came in for the break-up party for the Vollys which was to be held in the Regent bar as in 2004. Pizzas were ordered in and set up around the bar as Vollys worked the last screenings. Promptly VIPs attending the last screening in Regent 1 walked out into the bar and started tucking into the pizza. This is no fault of their own, such things could be expected from a Closing Film but the organisation of it would have been different in the past to avoid it. The scraps of pizza handed to the unpaid Vollys and tireless front of house staff for their thank you party was just one more indication that it was time to leave volunteering behind. I had seen one film Australia (from Brisbane no less! ), Canada, China, France, Mali , The Philippines, Romania, Sri Lanka, 3 films from the U.S. and an Australian documentary. I had truly covered a wide spread of films from around the globe. For me the highlights were 4 Months, 3 Weeks and 2 Days and Away From Her but Rescue Dawn, Bella, Waitress and The Search for Weng Weng all made an impression at the time. I hung out with the staff and my fellow Vollys. Being a small part of BIFF’s history is something I’m very grateful for and I have many fond memories. I think the staff who worked BIFF in those days really created something special I am particularly grateful to have met and worked with the fantastic front box office staff. We drank but if we went to Jimmys on the Mall this time we didn’t stay long. The VIP from Hawaii whom I had spoken to earlier in the Festival was going to Byron Bay the next day. She was easy to talk to and a wonderful person. As everything wound down her and me ended up at the nearby Pancake Manor (an old Church me and my best friends frequented) and we talked some more. She was a little bit older than me and I don’t know if either of us did any obvious flirting but we were there talking at 2am alone. She had curly dark hair and this beautiful purple red dress kind of Grecian in design and what looked like very soft skin. I had been a skinny man who had put on some weight and she cut a very attractive figure. I carry a lot of guilt about the times I did pursue fleeting moments and maybe that is why this time I did not say anything. We had a really nice chat for hours and then I stood dutifully on the side of the road waiting for a cab with her. It could be my own warped imagination but the conversation seemed less easy at this point. There was an air of awkwardness now as if something was being left unsaid. I think when her cab came we hugged and lingered but she got in that cab and I went home. Perhaps it was for the best, very probable she was not interested…or maybe we were just two shy lonely people who had a nice night that could’ve been capped off in a pleasing way. Fortunately this was just the beginning of romance for me at BIFF. At the Brisbane International Film Festival 2008 I met my wife. The Big Short is a comedy to be sure but like most great comedies there is a lot of anger underneath the joke it is telling. Because The Big Short is about how people get screwed over by money. Lots and lots of money, people with money, people chasing money, people valuing money too much, people taking money, people spending money and people wasting money. Don’t kid yourself money may not buy you happiness but it sure makes the world go round and we are all on the treadmill making it spin as much as anybody. The makers of this film know this simple truth. Most people just want to go to work, pay their bills, raise their families and pay off a house that will be downsized to fund a retirement. They care about the state of their world and they don’t like being ripped off but if they’ve got a job right now the global financial crisis can become a distant memory. The Big Short wants you to remember and begins its story in 2005 before the Global Financial Crisis hit. Dr Michael Burry played by Christian Bale manages a hedge fund and notices that a majority of subprime mortgages are not receiving payments and in the second quarter of 2007 they will reach a breaking point so he bets against the market going to get deals from the big banks for pay outs if what he predicts comes true. The big banks, predicting the market will continue as is, take that bet. As the story progresses certain other individuals learn of Burry’s prediction and investigate further. These include Ryan Gosling as Jarred Vennett who works for one of the big banks but believes in Burry’s theory but needs a buy in from another group who ends up being Mark Baum’s specialist team who work with some independence at hedge fund FrontPoint Capital. The fourth group we follow are two young up and coming traders in Charlie Geller (John Magaro) and Jamie Shipley (Finn Wittrock) who see Burry’s forecast has merit too but lack the contacts to profit off it unless they get help from a former neighbour and retired banker Ben Rickert (Brad Pitt). Most of the names in the film (based off Michael Lewis’s film) are not the actual names of the people involved and there is a lot of breaking the fourth wall to even cheekily explain if something really happened or didn’t to the point where you might still be unsure? Mostly narrated by Gosling’s Jarred Vennett the fourth wall at times seems like it may never be re-established as he pulls the audience in like an accomplice about the American banking section, how the GFC started, how Wall Street uses big words, how he is a pretty cool guy (obviously he’s Ryan Gosling). On top of the fact that the movie stars three hunks, given the dryness of the topic there are scenes where celebrities talk directly to the audience tongue in cheek to explain basic financial terms that inform what happened. Some are so quickly cut together you may want to get a Lewis’s book afterwards just to make sure you got it right. When Margot Robbie informs the audience that subprime mortgages are just another term for ultra-risky mortgages and that financiers use these terms to confuse you it draws a fine line between condescension and inclusivity. This is the film’s greatest conceit; it’s inversion of what happened. The majority of Americans got ripped off and screwed over by the Global Financial Crisis! Then it spread to the rest of the world too! The Big Short doesn’t follow suckers or losers though, it follows winners, people smart and brave enough to see what was going down and the film makes us feel included in their wisdom and plight when we weren’t. I don’t say this cynically, I think this is the best movie ever made about the Global Financial Crisis and it will reach the broadest audience and make them feel the most about it as a result of this approach. The film is never preachy but there are few lines sprinkled throughout that hit home not just about the financial sector but maybe even our society at large. There are montages of photos to remind us of current events and major pop culture distractions at the time. One great sequence shows many characters leaving a hotel and their current wealth defined by the car they leave in. There are neat explanations of what is going on using Jenga blocks and revised figures on a white board. What is interesting is as the GFC looms we start to worry if our heroes will succeed against a system that is so good at protecting itself. Burry’s clients baulk at paying increasing fees on the short bonds without any hint of the market failing in sight while the young Geller and Shipley are turned away at every point. Bale is often acting for the most part by himself playing a man who in many ways is introverted and single minded, he does a lot with very little. The heart of the film though belongs to Steve Carell as Baum who leads his team to investigate Burry’s predictions before throwing in their money. Here we get a sense of real people who will be affected by the fall in Florida and also the smug financiers meeting for a conference in Las Vegas who don’t care. Carell who put on weight for the role is a bundle of simmering anger throughout the film at one point he even says he wants Vennett to be right about Burry because he wants these people to pay even though he is technically one of them. If all you’ve ever seen is Carell play nice guys or idiots you’re in for a treat in a much more understated performance than his one in Foxcatcher. In the end his sad acknowledgement that nothing will change about the system is a far better request for it to then a direct call to arms. After all there is some acknowledgement that whether these men win they take no pleasure in the downfall of the American economy or that worker bees in the financial market lost their jobs too. Women are noticeably sidelined in this story, (two men are married and we don’t see their wives) but the trades were done by these men and beyond two important character scenes with Baum’s wife (Marisa Tomei) the story is focussed on their work spaces not their domestic ones. That being said the cast is full of fantastic actors on the rise in all the speaking roles from Baum’s team to mortgage brokers to rating agents.